Gerald “Jerry” Hanson passed away on July 11, 2018. Jerry was an exuberant, kind, and generous man with a great sense of adventure, and a passion for life. Jerry was born on September 17th 1933. He was the eldest of Lawrence and Frances Hanson’s three children. He was a dedicated son, who lovingly cared for his mother in her home until her final days. Jerry served his country in the Army as an MP guarding the perimeter of the Red Stone Arsenal in Huntsville, Alabama. He had a passion for many things in life including riding motorcycles and competing in hill climbing, for which he won many trophies. He started, owned, and sold a number of cable companies around the United States including in Baron, Wisconsin, South Dakota, Fort Worth, Texas, and the Aleutian Islands, Alaska. 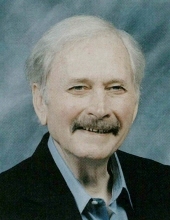 He loved to travel, and enjoyed spending the winter in Englewood, Florida. One of his greatest passions in life was traveling to gun shows and building his extensive antique gun collection. Jerry was a fervent fan of the Green Bay Packers. He also loved traveling to South Dakota to hunt with friends and family, and in particular, his nephew Rick. Jerry is survived by his son, Stuart Johnson, and grandson Benjamin Johnson, of Rockford, Illinois, and his brother, James Hanson of Eau Claire, as well as nieces and nephews, Cindy (Terry) Brenner of Wausau, Jan Brenner of Eau Claire, Rick (Jean) Lehman of Eau Claire, Jedd (Amy) Hanson of Minneapolis and Jennifer (Gregory) Hanson-Bremer of Eau Claire and many great-nieces and great-nephews, his best friend of over fifty years, Arlan Carter, and his loyal canine companion Lucky. Jerry was preceded in death by his parents, Lawrence and Frances Hanson, and his sister, Ruth Lehman. A memorial service will be held at Messiah Lutheran Church in Eau Claire on Tuesday, July, 17, 2018 at 3:00 with Pastor Bruce Naumann officiating. The visitation will be held one hour before the service at 2:00 at Messiah Lutheran Church. "Email Address" would like to share the life celebration of Gerald Lee Hanson. Click on the "link" to go to share a favorite memory or leave a condolence message for the family.